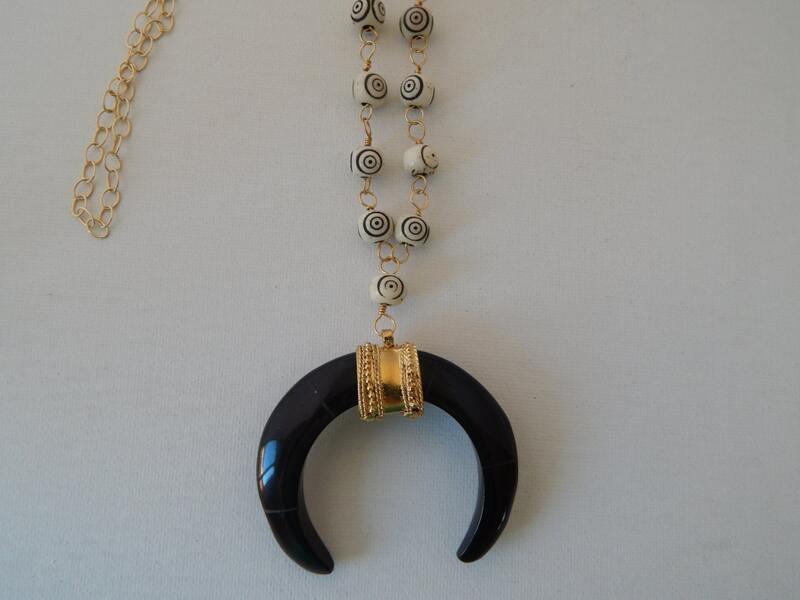 Black double horn pendant is suspended from a chain of wire wrapped black and white carved bone beads. 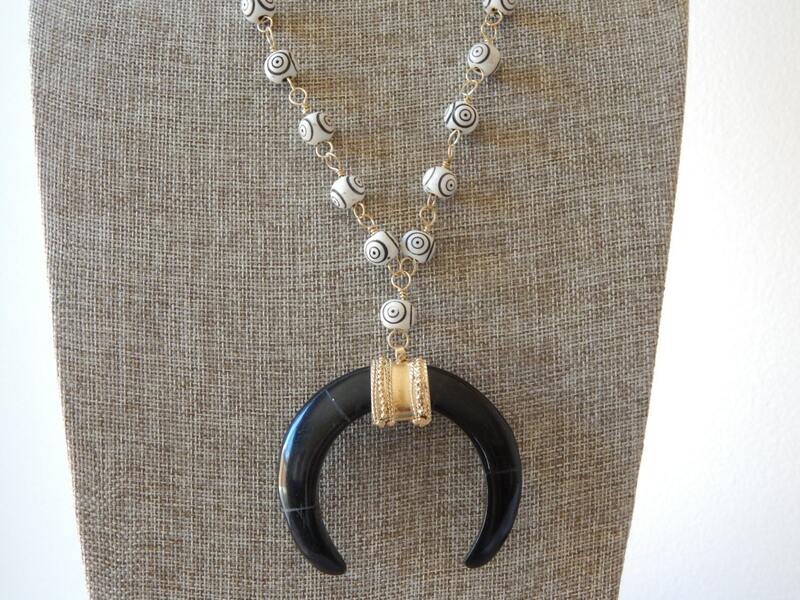 Black and white is the perfect combination of neutral colors that makes this necklace easy to layer with others or wear alone for a classic bohemian look. 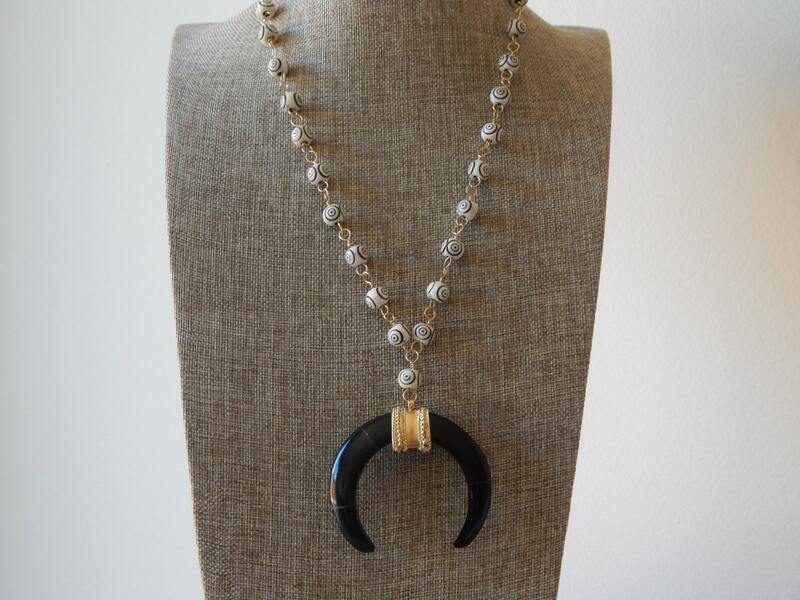 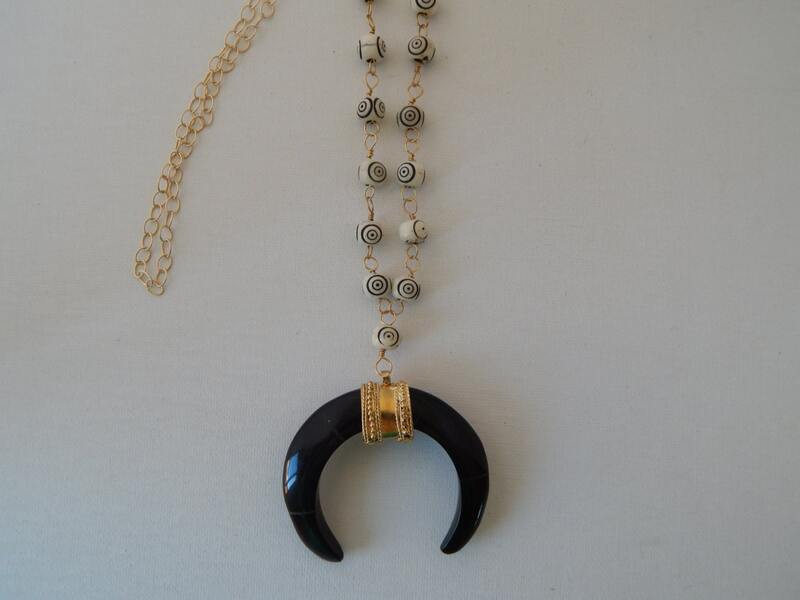 Necklace length is 36 inches and the horn measures 2.5 inches across. 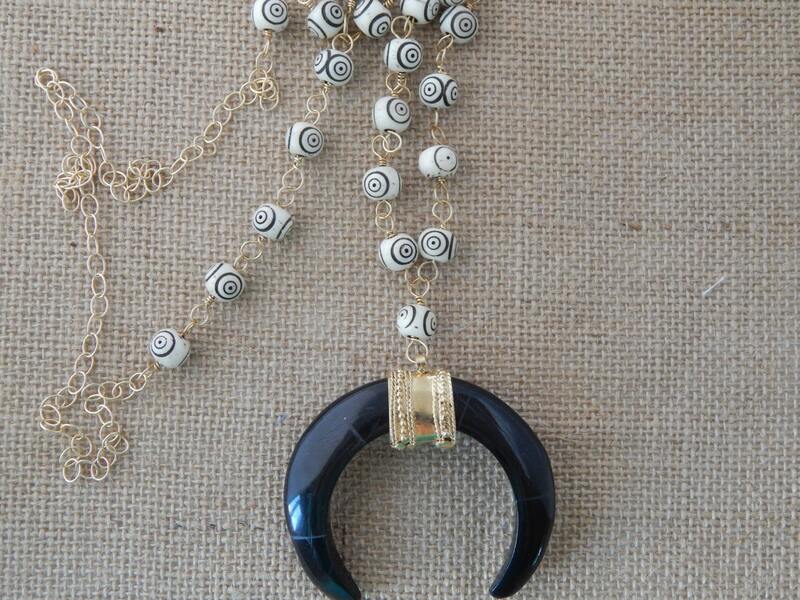 Beads measure 10mm and is finished with an 18kt gold plated chain.